Many apartments in Echelon at Odenton have screened-in porches or balconies, offering glimpses of attractive landscaping and the outside neighborhood. Go exploring and you’ll discover a world of both natural and manmade entertainment. Whether hiking the Wildlife Loop through the Patuxent Research Refuge or getting your fill of shopping at Arundel Mills, one of the largest retail centers in the mid-Atlantic region, you’ll always find things happening. You can walk to dining options, including Ruth’s Chris Steakhouse and local favorite, The Hideaway, famed for its barbecue and award-winning wings. Other culinary delights include all-American BJ’s Restaurant & Brewhouse and Hana Japanese Cuisine, home of handcrafted gourmet burgers. The community is also close to Ft. Meade and, in Annapolis, the U.S. Naval Academy. Both offer the public a number of fascinating, ever-changing programs, and visits are always memorable. 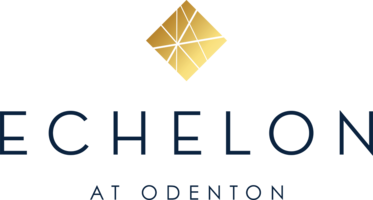 Reach out today for more details on Echelon at Odenton.